The Color Sensational Loaded Bolds Lipstick is a great choice for those women who prefer to establish their unique presence wherever they go. The creamy texture of this lipstick enables you to glide it effortlessly on your lips. Moreover, its rich make provides enhanced comfort for long hours of wearing. This Maybelline lipstick lasts for a long time, so you do not have to go through the inconvenience of frequent touchups. The blackest berry shade of this lipstick delivers bold color intensity, making your lips look undeniable. Be it romantic dates or traditional occasions; this Color Sensational is the perfect choice for all your special occasions. This Maybelline New York lipstick has pure pigments that deliver crisp, bold colors for a long lasting, beautiful look. 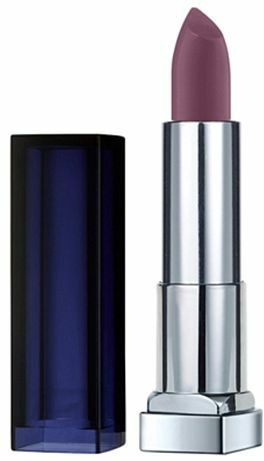 The rich, creamy formula of this lipstick moisturizes your lips and provides a velvety feel. This lipstick is the perfect choice for a sensational, rich look, which makes the perfect style statement on every occasion. Dress your lips with this Maybelline New York Color Sensational lipstick for a daring, bold look. It provides an ultra-nourishing glossy feel for comfortable wearing from day to night. For best results, apply this lipstick by starting in the center of your upper lip, then apply it on the center to the outer edges of your lip followed by the contours of your mouth. Lastly, glide the lipstick across the entire bottom lip and massage both lips together.